Shrubs require pruning throughout the year to shape them properly and to promote flower growth. When a shrub is damaged by a hard freeze, the water inside the branches becomes ice crystals, killing the cells around it. Some gardeners become anxious when a tree is damaged due to a hard freeze and are quick to break out the pruning shears to remove the deadwood. Patience and a proper pruning technique will save the shrub from further damage. Wait until the shrub begins to sprout new growth in the spring before considering pruning the shrub, recommends the University of Florida. Prune back dead or damaged branches until you see green wood, says the University of Florida Extension. Texas A&M University suggests making cuts back to an active bud, making the cut at a 45 degree angle as close to the bud as possible. This promotes side growth and ensures you hit living wood. 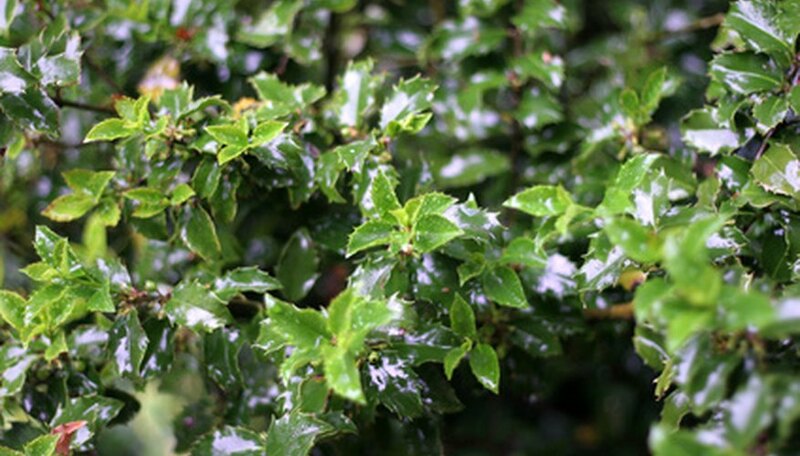 Trim deciduous shrubs once they begin to show leaves in early February, cutting any branches that are thinner than a finger. Focus on smaller branches, as cutting large branches too early in the season makes wounds that are difficult to heal. Cut large, freeze-damaged branches during the summer once the tree has had time to recover from the winter weather. Rub dead leaves between the hand to crumble them into pieces, recommends the University of Kentucky. This removes the potential for disease. Wear gloves for spiky or thorny shrubs. Cut severely damaged young shrubs that are not growing back to the ground and train a new leader, recommends the University of Kentucky. This allows you to start the shrub over without replacing it. University of Kentucky: Freeze Damage--What now?